On Sunday, November 7th guests enjoyed afternoon tea at Books to Cooks as we celebrated the release of author and poet Molly Peacock’s biography of artist Mary Granville Pendarnes Delany, The Paper Garden. We were transported back to the drawing rooms of eighteenth-century England as Molly shared with us the intriguing life and accomplishments of Mrs. Delany. As an artist, Mrs. Delany was a late-bloomer when one afternoon in 1772 at the age of 72 she noticed how a piece of coloured paper matched the dropped petal of a geranium. She carefully cut the exact geranium peal shape from the scarlet paper to create what would become known as collage. Over the next decade, Mrs. Delany created an astonishing 985 botanically correct, breathtaking cut-paper flowers, now housed in the British Museum and referred to as the Flora Delanica. Upon viewing Mrs. Delany’s creations Molly Peacock became fascinated by both the art and artist. 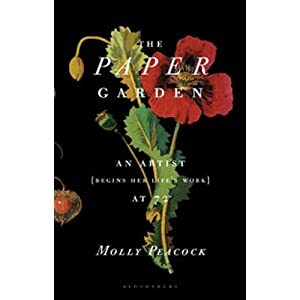 The Paper Garden includes thirty-five full-colour illustrations – along with a remarkable biography full of romance, fashion, friendship, gossip, politics and love. Guests devoured every word of Molly’s re-telling of her story - along with some delicious tea-time treats including a zesty lemon tart, cucumber and curried egg sandwiches, scones with ‘many berry’ preserves and (quite fittingly) an 18th Century shortbread.